Even the clever ones are dimmers! 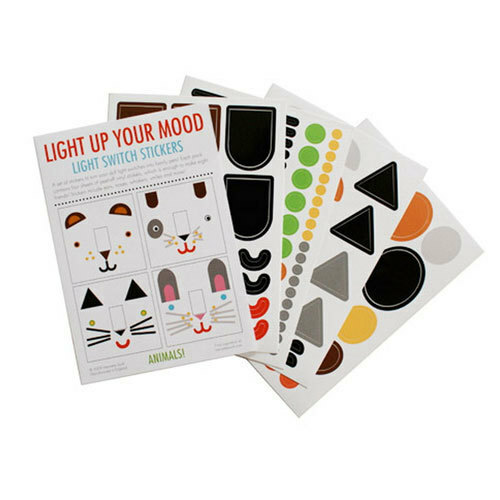 Make your light switches a little brighter with these peel off vinyl Mood Light stickers! Creating up to 24 light switch characters from several sticker sheets, there's plenty of room to experiment, so give your bedroom the mood lighting it deserves! 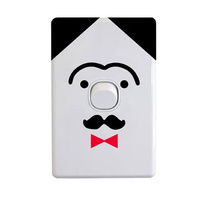 Just dot the stickers around your light switch to create a character of your choice. 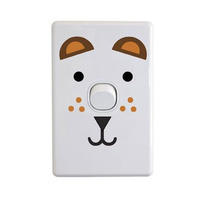 It's completely up to you to customise your switches in a way that suits your style! 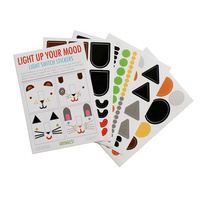 Use the stickers to make a cute little kitten, a rumbustious pirate, a suave young man and much, much more! Flicking the light on has never been so much fun when the switch is a freckly nose! 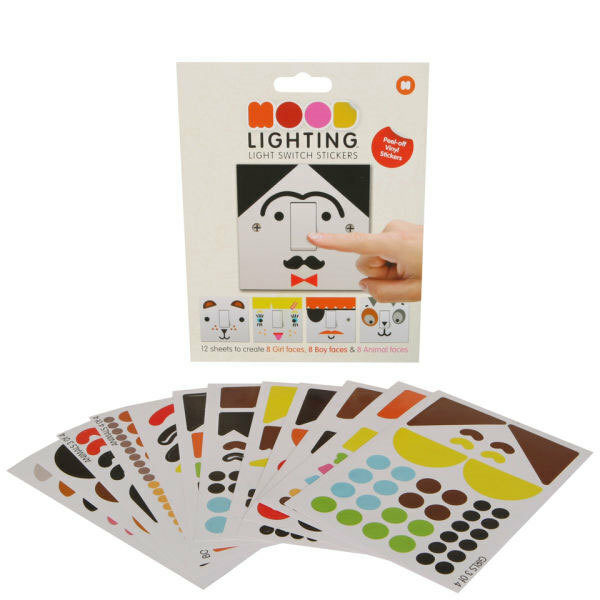 Your kids will love dressing up their room with awesomely cool mood decals. And just like vinyl wall stickers, they are easy to peel off without leaving sticky residue or marks! - 4 x sticker sheets to create 8 girl faces (including clips, rosy cheeks, eye lashes and more)! 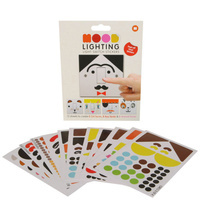 - 4 x sticker sheets to create 8 boy faces (moustaches, bow ties, freckles and more)! 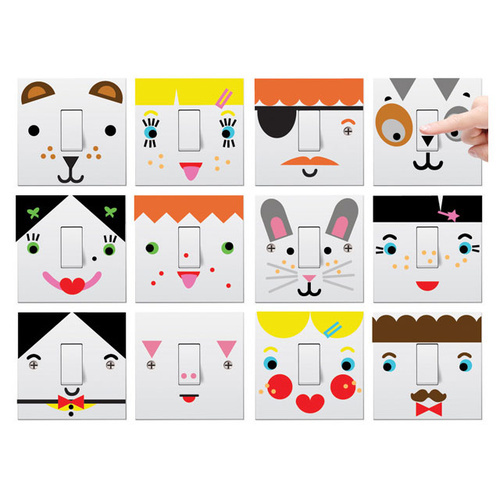 - 4 x sticker sheets to create 8 family pets (ears, noses, whiskers and more)! Makes up to 24 different characters. Easy peel vinyl stickers - wipe over with a damp cloth to remove little fingerprints!